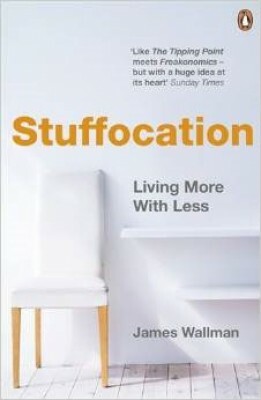 In this groundbreaking book, trend forecaster James Wallman reveals the world's growing sense of Stuffocation - and how we can move away from it 'Like The Tipping Point meets Freakonomics - but with a huge idea at its heart' Sunday Times We have more stuff than we could ever need - clothes we don't wear, kit we don't use, and toys we don't play with. But having everything wethought we wanted isn'tmaking us happier. It's badfor the planet. It's clutteringup our homes. It's makingus feel 'stuffocated' andstressed - and it might evenbe killing us. In this groundbreaking book, trend forecaster James Wallman finds that a rising number of people are turning their backs on all-you-can-get consumption, from the telecoms exec who's sold almost everything he owns, to the well-off family who have moved into a remote mountain cabin. Wallman's solution to our clutter crisis is less extreme, but equally fundamental. We have to transform what we value. We have to focus less on possessions and more on experiences. Rather than a new watch or another pair of shoes, we should invest in shared experiences like holidays and time with friends. With intriguing insights on psychology, economics and culture, Stuffocation is a vital manifesto for change. It has inspired those who have read it to be happier and healthier, and to live more, with less. James Wallman is a journalist, trend forecaster, speaker, and author. He has written for GQ, the New York Times, the FT, and advised clients such as Absolut, BMW, Burberry, and Nike. James wrote the futurology column in T3 magazine and was editor of The Future Laboratory's forecasting publication. He has an MA in Classics from Oxford University and an MA in Journalism from the University of the Arts London. He has lived in France, Greece, and Palo Alto in California and currently lives in London with his wife and children.